DaVinci is a company that strives to create furniture for your child�s nursery or bedroom at an affordable cost. They never settle for anything less than the highest quality of materials and the most stylish designs. DaVinci partners with top safety authorities to make sure that all of their products are held to the highest standards. 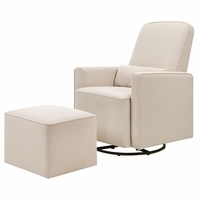 With DaVinci furniture, you will never have to choose between affordability, style, or safety. DaVinvi products have repeatedly been awarded by leading consumer and parent resources thanks to their dedication to creating products that exceed industry safety standards. They test everything to ensure that they can help you create a safe room for your child. One way DaVinci ensures that they are creating top quality products is by using only the best quality materials. 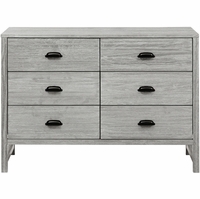 All of the wood they use to build their stylish furniture is New Zealand Pine, collected from sustainable forests. Even the paint they use is highly scrutinized. The approved amount of toxic material allowed in paint in order for it to be considered safe is 90 parts per million. The paint that DaVinci Baby uses is less than 10ppm. If that wasn�t enough, DaVinci has worked tirelessly to make all of their full-sized cribs GREENGUARD Gold Certified. This certification means that their cribs contain less chemicals that your baby could be exposed to, as well as reduces the amount of air pollution they add to your indoor environment. To become certified, their cribs are independently tested for over 10,000 different chemicals in steel chambers to verify that their product is healthier for your children�s bedrooms So, why exactly is having low-emitting furniture important? People spend the majority of their time (nearly 90%!) indoors, where air pollution levels can be anywhere from 2 to 5 times higher than the air outside. Chemicals can be released from everyday items, such as furniture, and can impact your health. Allergies, asthma, and even some forms of cancer have been linked to indoor air pollution, and children are more susceptible to these chemicals than adults. 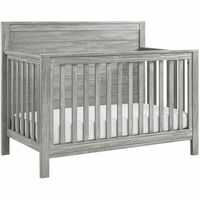 DaVinci is proud to offer parents a low-emitting, healthier crib to give parents a greater peace-of- mind. AlbeeBaby is proud to be a provider of DaVinci Baby furniture, so you can create the perfect nursery at a discounted price. A nursery is an extremely important place where you will spend countless hours with your child. 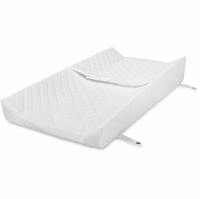 From naps together in a comfortable glider, to diaper changes on the changing table, DaVinci has many stylish options to put together your ideal space.